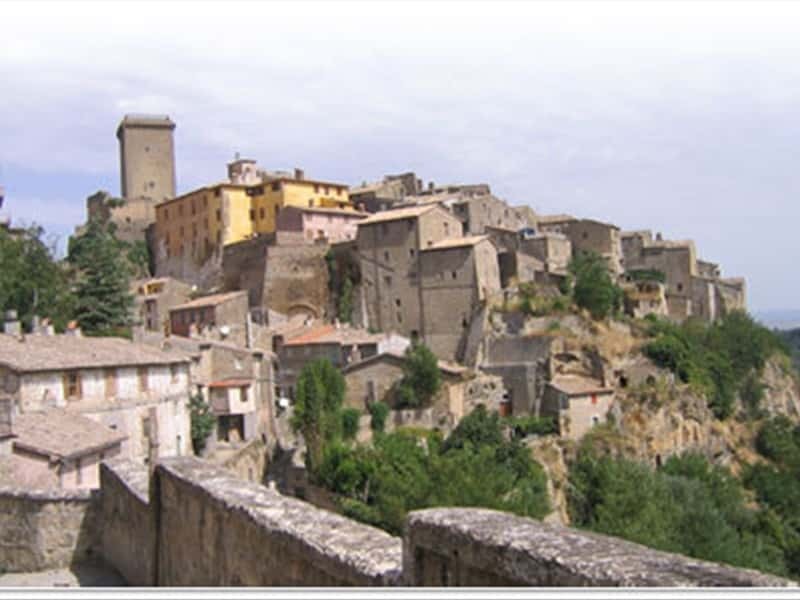 It is a small village with a typical medieval aspect of the province of Viterbo, inhabited since ancient times by the Etruscans, at first, and by the Roman, later, as evidenced by the findings of tombs, houses, columns and stones dating back to these historical periods. After the examination of documents and records, historians agree in dating the origins of Civitella to the XI century and its castle was erected by the Counts of Bagnoregio, whose descendants, after a while, changed their name to Monaldeschi. After repeated clashes with the Papal States, the Apostolic Chamber, in 1415, exiled the Monaldeschi. In 1564 the town was proclaimed municipality and, in 1870, it was annexed by the Kingdom of Italy. - The XV Church of the Convent, located outside the town. This town web page has been visited 51,700 times.